Littleton homeowners, you want to keep your home and its lawn looking as good as possible. If you have a large lawn that you want to keep lush and green, it is too inconvenient to try to water it by hand with a hose. A sprinkler system repair from Brothers Plumbing, Heating and Electric is what you need. We have the training and experience to handle all things regarding repair and replacement for sprinklers in Littleton. If you already had a sprinkler installation in Littleton and it is not working properly, then we are also your Littleton sprinkler repair experts. Your sprinkler services in Littleton will be carefully done to ensure your entire lawn and any shrubbery receives the water needed. Our Littleton sprinkler system experts can even repair sensors that can tell when it’s raining to keep it from over watering your lawn. This will give your lawn only the water it needs and no more so that you save on water while keeping your lawn beautiful. Your lawn’s appearance is crucial to the overall impression people get of your home. The most beautiful, well-kept house with a fresh, gleaming coat of paint can be made to look awful with a lawn that has brown patches of dead grass. When searching for a Littleton sprinkler system company, you want to know that the job will be done right. The technicians at Brothers Plumbing, Heating and Electric Company have the knowledge to handle every aspect of the job. We will repair timers and controllers on your Littleton sprinklers. Our technicians can also repair/replace drip lines off the main sprinkler system line to take care of those hard to reach areas that need regular watering. We are the choice for plumbing, heating and electrical work in Littleton. We are also your experts when it comes to Littleton sprinklers. 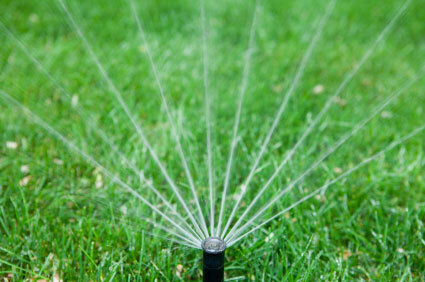 Our Littleton sprinkler repair services cover all aspects of the job. If you are looking for sprinklers in Littleton, you need to look no further than Brothers Plumbing Heating and Electric. Our friendly staff and trained, experienced technicians, will install a new system or repair an existing one quickly, competently and at competitive rates. Our top-notch service, expertise and excellence are known to our existing customers. Please give our Littleton office a call today, so we can help you keep your lawn green and beautiful.